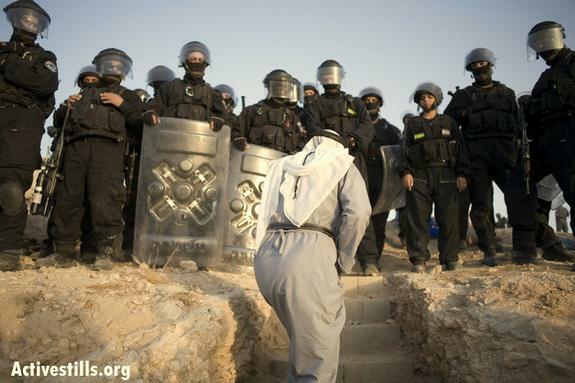 The Bedouin of The Negev have been subjected to a vast array of colonial abuses since the establishment of the State of Israel in 1950–and despite the efforts of UN bodies and NGO’s, these abuses continue to this day. The most recent affront to the health of the Bedouin people and their culture and livelihoods stems from the Israeli state’s threatened implementation of the much-maligned Prawer plan. This initiative, vastly abstracted from the suggestions of the Goldberg Commission, advocates the enforced removal of Bedouin peoples from villages and their relocation to urban centres. Catastrophically for the Bedouin of the Negev, the Prawer plan has recently been passed into law; those who stand by their traditional land claims now face the full dismantlement of their property, alienation from their cultural milieu and dispossession. Unless they submit to inferior treatment and a meagre land settlement these Bedouin, full Israeli citizens themselves, will be relocated to designated Bedouin cities such as Rahat. There they face a life bereft of their traditional livelihoods and cultural practices in often stultifying conditions of urban poverty where their health may also deteriorate sharply. The subjugation of the Bedouin people of the Negev today owes much to the historical rigidity of the Israeli state’s attitudes to their Arab co-inhabitants. Indeed, it would seem that opinions of the Bedouin have changed very little since the late Israeli military leader Moshe Dayan called for the disappearance of “this phenomenon of the Bedouin” in 1963. Rhetorically cast as backward nomadic invaders, the Israeli state has repeatedly forced migrations upon the Bedouin, relocated them to townships, cut off their facilities and roundly insulted their status as ancestral inhabitants of their land. Ramat Hovav industrial area, Israel, at sunset. Felagund/Wikipedia One such example of Bedouin suffering is the deliberate placement of the Ramat Hovav industrial district next to the Bedouin village of Wadi El Na’am. As a result of dumping and chemical waste, the people of this village suffer an unusually high burden of mortality caused by cancers. 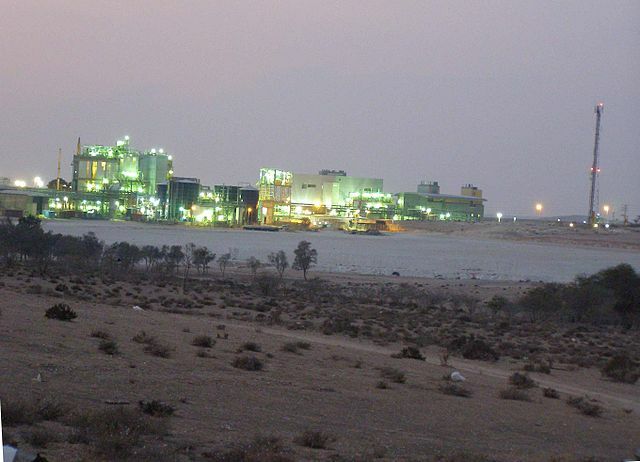 Other illnesses such as asthma have also risen in prevalence, as have miscarriages leading one angry Bedouin activist to claim that the state wants Arab residents without education and wealth, a deformed population. The methods used by the government to assimilate the Bedouin then have hardly been “without coercion” as Dayan suggested they ought to be; and it is a poorly kept secret that the true reason for these abuses lies in the states desire to settle Jewish farmers in The Negev at the expense of the Arab Bedouin through ignoring their traditional land rights. There was some doubt whether the highly controversial Prawer plan would pass into Israeli law as this most recent attempt to prise the Bedouin from their land is widely regarded as racially discriminatory and as being in violation of the Bedouin peoples human rights. There has been a great degree of internal and international concern over the welfare of the Bedouin in light of the proposal of this plan, not least from the UN whose Committee on the Elimination of Racial Discrimination and the Office for the Coordination of Humanitarian Affairs have both condemned the move. However, invoking the masked trope of ‘development,’ the Israeli government have ignored such concerns and pressures passing the plan into law. The central aim of the now reified plan is to demolish what the state says are illegal Bedouin villages, classified as unrecognized, and forcibly relocate them to the predominantly Bedouin cities. Thirty five villages are threatened by the plan. 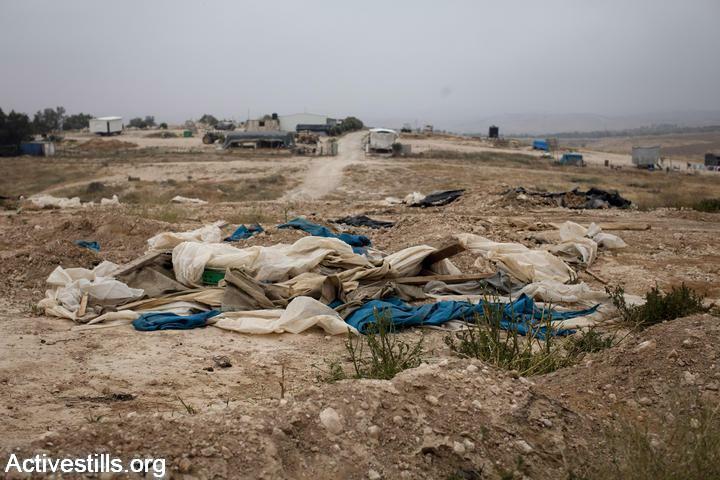 A demolished shack of the unrecognized Bedouin village of Al Arakib in the area where the JNF plans to plant trees. Oren Ziv/Activestills The government has already begun its work to eradicate Bedouin presence in the area. The village of AlAraqib stands as a testament to the Israeli government’s commitment to implementing their plan, it has been demolished an astonishing thirty seven times since 2010, even before the Prawer plan made this action a lawful priority. 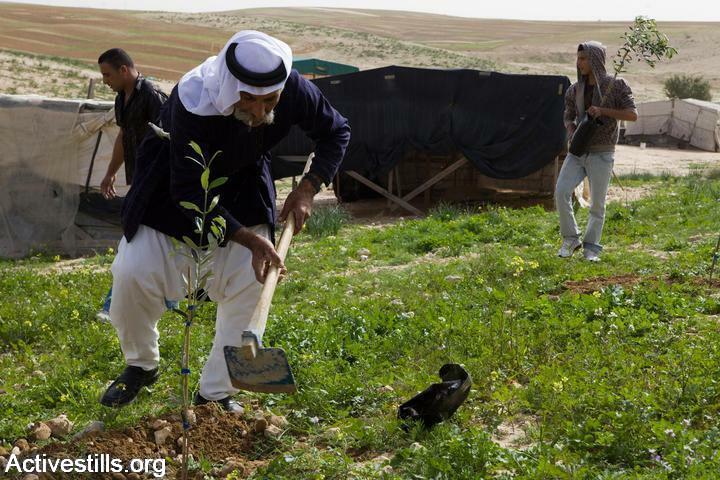 Most recently, after the plan had been legally accepted, police confined the residents of AlAraqib to their graveyard, itself evidence of the Bedouin’s connection to their land, while they leveled houses complete with villagers belongings and tore up the Olive trees with which Bedouin agricultural livelihoods livelihoods are entwined. Stripped of their ability to protect their land by the Prawer plan, the Bedouin are also unable to appeal to the courts with any real hope of success due to the plan being granted a level of legal immunity, trumping other laws it comes into conflict with. The Bedouin face an impossible challenge to remain on their lands whilst the Prawer plan exists. They cannot legally gain building permission on their own lands because of previous acts passed to try and liberate the land for use by Jewish land owners. Without these rights, their houses and livelihoods are resigned to legitimate and legal demolition as illegal developments under the Prawer plan. This legalistic knot–and the appalling abuse of the Bedouin’s rights which have resulted–must not go unchallenged if the residents of the unrecognized villages are to live as free Israeli citizens. Support must be given to existing initiatives aiming to give the Bedouin their rights, perhaps most importantly to the Regional Council of Unrecognized Bedouin Villages and Bimkom – Planners for Planning Rights who are seeking a Bedouin voice in this conflict and in the planning processes involved. Planting olive trees in El-Araquib. Yotam Ronen/Activestills Poignantly these groups call upon the fact that the Bedouin have been present in The Negev since before Israel’s inception. They also call authorities to be aware that extending the infrastructure and services that other Israeli citizens enjoy to the unrecognized villages would in fact save the state money. Ultimately it is recognition–not relocation–that will alleviate the suffering of the Bedouin. The state knows this, and rather than shift the problem into impoverished townships they must take responsibility for their own citizens and accord them equal rights to others, in this case recognising the legitimacy of the Bedouin land claims. The first step on the road to achieving this goal must be the abolishment of the Prawer plan, only after that will Bedouin voices be heard and respected.